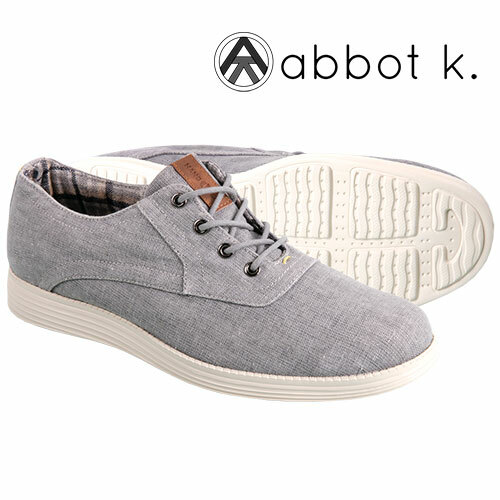 For casual styling, quality craftsmanship and serious comfort, it's Abbot K all the way! When a company is bold enough to take its name from Abbot Kinney Boulevard, the "coolest block in America," you know that their products are all about laid-back style and comfort. These Abbot K Park Slope shoes have soft, yet durable linen uppers and a lace-up design for a custom fit. Also features a lightweight EVA midsole for added comfort, removable sock liner and rubber outsole. Color: Grey. Mens size 11.